Here are the 4 winners for #PathTweetAward All will get awards but we need to rank, so pls pick your favorites! First, the 2 winners in the open category. Please scroll down in the thread to see the actual award winning tweets. Scroll further down to see trainee awardees. First step, check out this awesome guide to social media for newcomers. SUPER useful. 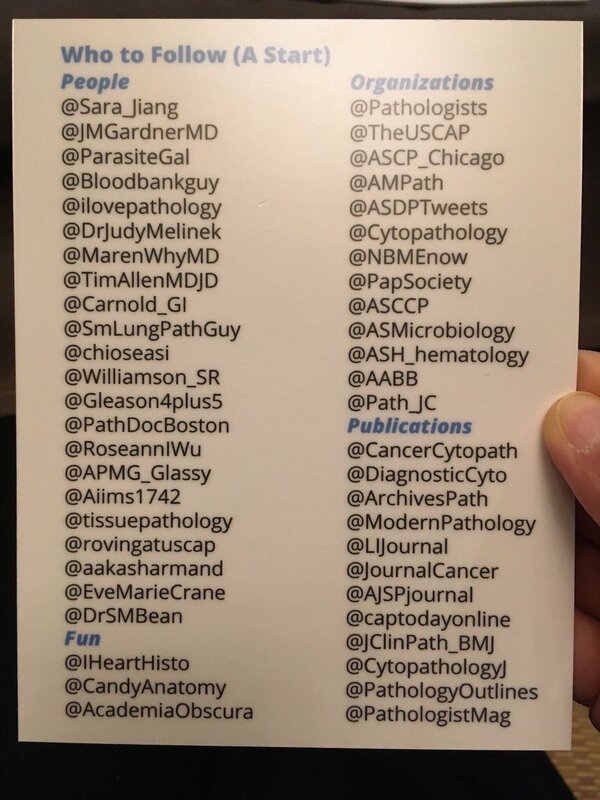 Follow a few pathologists. Use this handy guide created by @RoseannIWu to begin with, and then just follow people whose tweets you like. Following is a friendly gesture on Twitter, and conveys that you are interested that person’s tweets.